Situated in the wonderful Snowdonia National Park with its breathtaking scenery, Pen-y-Garth Lodges are perfect for walkers and sailors as Bala Lake is close by, the lake is the largest piece of natural open water in Wales and is a magnet for water sports enthusiasts.The mountains and valleys of Snowdonia National Park are perfect for everything from a stroll to a more challenging hike.Bala is a quaint market town with a range of traditional shops housed in picturesque buildings making it a charming example of Welsh country life.Pen-y-Garth Lodges have a choice of single storey holiday homes or lodges in a wonderful country setting, great for a relaxing rural retreat for couples and families alike. 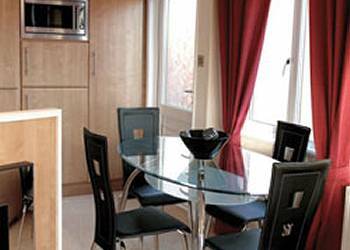 Pen-y-Garth-Lodges offers the following facilities. From the awe-inspiring mountains of Snowdonia to the glorious beaches of the lovely, unspoilt Lleyn Peninsula and the west coast, you�ll discover a dramatic landscape steeped in Celtic culture and history, and a wonderful setting for our holiday lodges. 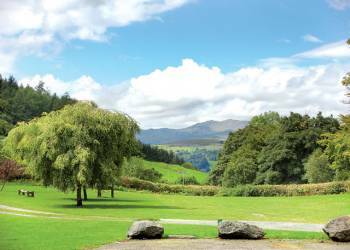 Gwynedd�s majestic mountains and deep river valleys, magical forests and tumbling waterfalls create the perfect backdrop for walking, bird watching and the huge range of outdoor activities on offer in the Snowdonia National Park - all easily accessible from our holiday lodges in Gwynedd. Despite the pouring rain we were shown to our lodge ,the lodge was nice and warm on entering ,lovely and comfortable ,surprised at how big the lodge was ,3 double bedrooms and a shower room in the double room and a family bathroom !Lovely outside wrap around veranda with a gate ,as we took our dog this was great .this is a lovely quiet site with lovely views on all sides -if you want to chillax -this is the place for you !!! Particularly enjoyed our walks round Bala lake with our dog -all areas spotless ,litter free -highly recommended !! This was a superb weekend break, the lodge accommodation was outstanding, exceptionally clean and comfy. Lovely and peaceful even with our 16 month old son!!! Lots of things to do in the area and great as a base to explore further a field. We thoroughly enjoyed our stay and will definitely be back! A small park with high quality lodge accommodation. I felt very comfortable letting my 3 year old run around in safety and he loved seeing the rabbits running around. 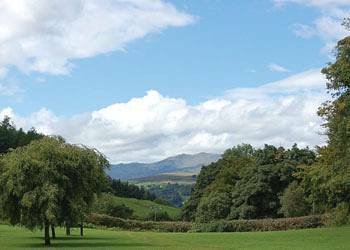 A very pleasant park near the beautiful Bala lake. We had a great time at Pen Y Garth lodges and look forward to going back next year. The accommodation was superb and a pleasure to stay in all day due to the heavy snow! Excellent accommodation - small things like having beds made up on arrival make all the difference. Thought that Hoseasons might be a bit 'tacky' but you would never have even associated this park with a big holiday company. The impression was of a small private holiday park with first class accommodation. Really impressed, better than expected! If you want peace and tranquility in a beautiful setting surrounded by mountains and wildlife this is the place for you. Lovely setting not too far from many places. Nice and peaceful location but not too far from the town. 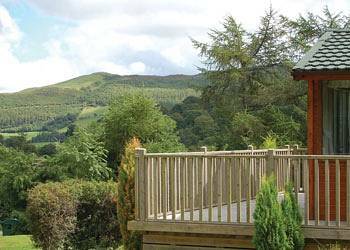 Peaceful location, central to the many attractions in Snowdonia and North/Mid Wales. Accommodation was immaculately clean, well furnished and with all necessary accessories for cooking etc. Site staff were exceptionally friendly and helpful, the site manager in particular attempted to provide assistance whatever the request. Attractive site set in a beautiful area, very quiet and peaceful, safe and ideal for families with young children. Lots to do within the area, around Lake Bala. 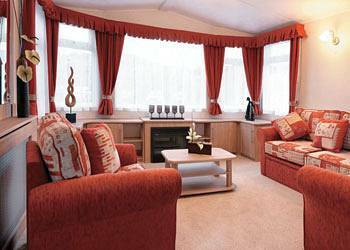 Have you been to Pen-y-Garth-Lodges? Please submit your review so that others can benefit from your experience. Important note: Information provided here about Pen-y-Garth-Lodges is based on our best knowledge. However, please check with Pen-y-Garth-Lodges before booking to ensure that you have the information required. 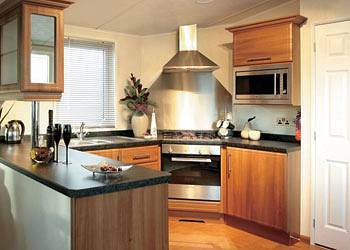 Reviews are the sole views of the contributor and do not necessarily represent the views of CampsitesandCaravanParks.com or Pen-y-Garth-Lodges.